Scaramucci has been good to his word. Suspected leaker Michael Short was just canned from the White House communications office. He was an ally of Reince Priebus, so this doesn’t look very good for him either. He was also an ally of Sean Spicer. Politico broke the story just a little bit ago. Scaramucci warned yesterday that if the leaks did not stop, heads would roll. Here comes the first head. This is the beginning of a serious shakeup at the White House and it is long overdue. Short worked for the Trump campaign. He was put there by Priebus. He then quit the campaign after the Access Hollywood tape came out. He walked out leaving everything behind. Priebus brought him back in January. Now, he’s gone for good and I have to wonder how many other RNC allies are going to get the ax. Should be interesting. Evidently, it’s been rumored for a while that Short was a leaker. Multiple sources have told Breitbart exactly that. He worked closely with former White House deputy chief of staff Katie Walsh. She was terminated earlier this year for suspected leaking as well. Short is not commenting to the press except to say he doesn’t believe he has been fired. He might want to check with Scaramucci on that front. He feels otherwise. “No one has told me anything and the entire premise is false,” Short told CNN. Funny how he chose to speak with CNN, isn’t it? Maybe I’m just paranoid, but I find that suspect. Short denied to Breitbart News that he is a leaker. “I have never leaked,” he said in an email. He also denied he ever quit the campaign, saying that he just went back to work at the RNC. Lots of people remember that much differently. And now the end… after originally resisting his looming termination for being a suspected leaker, Short has announced to the press that he has resigned his position in the White House. 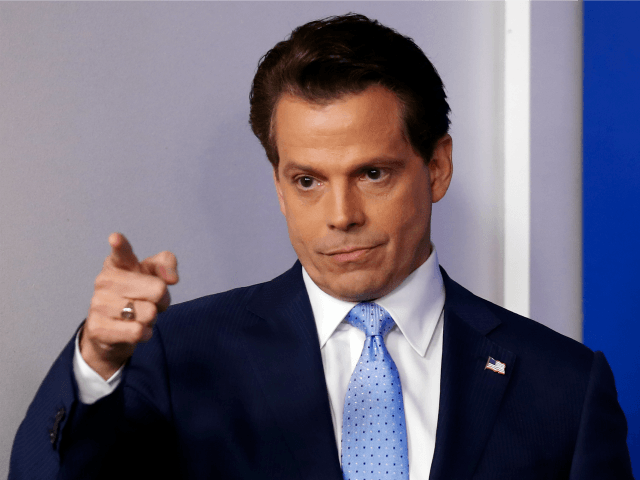 Gee… guess he talked to Scaramucci after all. Good riddance. ???????????? "I'm going to fire everybody," Scaramucci says, explaining how he's going to get the leaking to stop. ??????????? ?